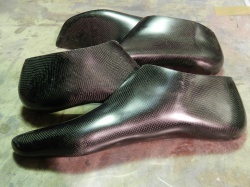 Sometimes there's a setback... First the mould of the first version of the carbon carrier warped in the oven in March. Last April for the first time in thirty years of working with resins a mould failed to separate from its parent form, despite eight hotwax impregnations I did before. Apart from a lot of annoyance this meant a significant delay in the realization of the CHR's Tail Bag. The project is now back on the right track and in a week the first mould parts can be taken from the plug. The luggage fairing (40 cm wide, 50 long and 30 high, volume around 25 litres) fits beautifully to the rider and has a lid on top. Some Velcro is sufficient to keep the Tail Bag attached to the carrier. Rear light (LED) can be integrated. 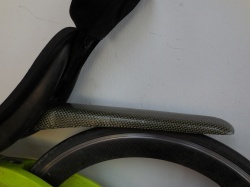 Weight of carbon / kevlar Tail Bag will be around 600 grams. The supporting carbon carrier of about 100 grams is already available. Leading up to the Viking Tour in Norway at the end of July I need to fine-tune the material to be able to participate more or less in the front of the race, being somewhat older than the average contester... A number of modifications are already taken care of, like the much lighter and, more important, well fitting M5 carbon bicycle shoes. 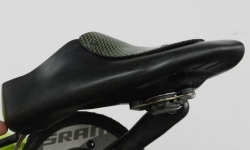 Then there's the altered seat, which now has a more flat radius at the top, resulting in a smaller frontal area and a better aerodynamical position on the bike. The last project which is currently worked on and of which one template is now finished, is the earlier announced luggage/streamline fairing of 35 to 40 litre in volume. It's expected to provide 2 to 3 km gain at 40 km/h. This may sound as little, but to increase speed by 2 km/h requires 16% more power. And that's 7 to 8 more heartbeats per minute extra for most people! A nice test: cycling with on my left foot the pretty lightweight Nike bicycle shoe of 390 gram and on my right foot my new carbon "sock" of 147 gram. Apart from the perfect fit and the lower weight there's something else I notice: the reduced distance between my foot to the pedal, due to the lower structure. This will be corrected when the lining of my left shoe is ready too. Initially I presumed that I made a much too lightweight basic structure, thinking "strengthening can always be done later". Now I'm sure: below 100 gram at shoe size 47 is also possible and that's rather spectacular. A fully rigid and fitting shoe with the weight of a bar of chocolate. Up till now I've been busy experimenting with a number of locking systems. Milled and lathed little knobs from aluminium and POM (a black kind of nylon). There seems to be a good looking result now, is lightweight and also functions well, because one demand was and is that you can close the shoe with two fingers. Another advantage is that you need minimal force to close the shoe because of the optimal fit. At the next set of shoes even more attention will go to the ventilation. This will also contribute to keeping the shoes below 100 gram, because more mesh material and less carbon/kevlar will be applied. So make it a do it yourself project? It is important to get molds from your feet under pressure and in a position/angle that matches your riding position. In my case I used a high quality gypsum used for casting . After sanding with grain 800 I made epoxy/glass molds in which the product parts were produced with wet laminate. Prepreg was a possibility too, but then an autoclave would be most suitable: heat, pressure and vacuum. 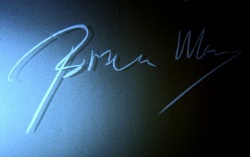 A product can't be produced more perfect. However, the shoes will now weigh around 145-155 grams, which is only a third of a standard size 47 shoe. But the biggest advantage: once you slide your feet in them, there's the immediate and ultimate recognition "For your feet only" ! 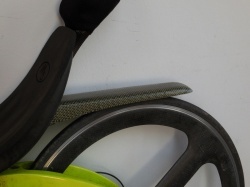 During the forthcoming period much time will be invested in modifications, improvements and innovations for clasp types, vents, protective heels etc. But this is a good start. New carbon rear carriers ready to go! 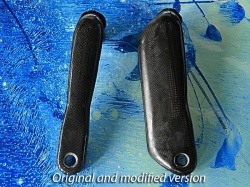 Our "Made in Middelburg" carbon rear carriers are now available for sale at 79 Euro. Definitely a deja-vu for me: by the same method my first Greyhound "Shatci" hitched a ride during fast descends in the Italian Dolomites. Participate in the ultimate mountain race! In 2006 I considered the Viking Tour of that year to be my "final race". This decision was boosted by the following: an 18-year old which finished just behind me only had to, so to speak, take a shower to recover from the effort. I myself felt the mountain trial still in my legs the next morning. I had one excuse: a large generation gap. Anyway, it's 2014 now and the plan has been conceived to do the amazingly beautiful Viking Tour event once more, but fortunately with the participation of younger M5 CHR users! Up till now four persons will definitely attend, but if other recumbent riders feel drawn, I'll say: subscribe! At the moment there are still around 80 starting places available. 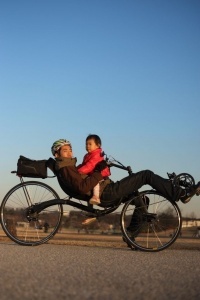 A light weight recumbent and good shape are surely going to help you during this tough race. 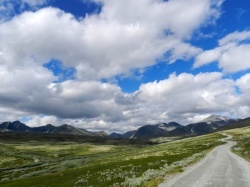 Make sure to check the route on the site of the 2014 edition of the Viking Tour. What other useful stuff is possible in carbon? So in a few lost hours a simple tooling was made to create a large size (60 cm) shoehorn and never again nodding, tearing and hassle! From very close to very far away and everything in between. Enjoy! Very light weight "carrier/fender" developed for M5 CHR and M5 M-Racer models. The first of several new products to be released this winter: a lightweight carrier/fender. Due to the use of carbon and kevlar, this product is virtually indestructible. The weight is a mere 125 grams (4.4 ounces) and it can carry an M5 17-litre Top Bag easily. Apart from its carrier qualities, it also functions very well as a fender. It is directly mounted to the seat with four M5 bolts and nuts.